Juventus star Cristiano Ronaldo and Inter Milan sharpshooter Mauro Icardi were left out by Opta for their 2018/19 Serie A team of the season so far. Napoli defender Kalidou Koulibaly is another notable omission from the list. Ronaldo is enjoying a superb debut campaign in Serie A, even at 34 years old. The Portuguese talisman shocked the world with his move to the Italian champions from Real Madrid after winning three consecutive UEFA Champions League titles with Los Blancos. With 19 goals and 8 assists thus far in Serie A, Ronaldo has managed to settle in the squad perfectly and remains one of the pivotal reasons behind Juventus' unbeaten run in the Italian league this season. Moreover, Ronaldo has spearheaded Juventus' attack by being involved in 51% of their goals. Juventus remain at the top of Serie A table with 69 points (22 wins and 3 draws) from 25 matches, with a massive 13-point lead over 2nd place Napoli. Mauro Icardi, who was stripped off of Inter Milan's captaincy earlier this year, has scored 15 goals in all competitions for the club this season, with 9 of those strikes coming in Serie A. Meanwhile, Kalidou Koulibaly has been a rock at the back for Carlo Ancelotti's Napoli, who have conceded just 18 goals in the league and are second in the table with 56 points. The trio's omission from any Serie A team of the season comes as a shock, especially as they have been performing well. Ronaldo's exclusion is the most shocking, given he has thus far scored the most goals and is also top of the assists chart. On the basis of their own statistics and data, Opta's Serie A team of the year follows a 4-3-3 formation. The team comprises of Inter skipper Samir Handanovic as the goalkeeper, with the Nerazzurri's Milan Skriniar, Lazio's Francesco Acerbi and Juventus full-backs Alex Sandro and Joao Cancelo completing the defence. The three-man midfield consists of Ronaldo's teammate Miralem Pjanic and Napoli duo of Allan and Fabian Luiz Pena. The front-three will come as a shock to many and is bound to raise some questions as it comprises of Alejandro Gomez of Atalanta and Roma's Stephan El Shaarawy on the flanks, with young AC Milan striker Krzysztof Piatek playing down the middle. 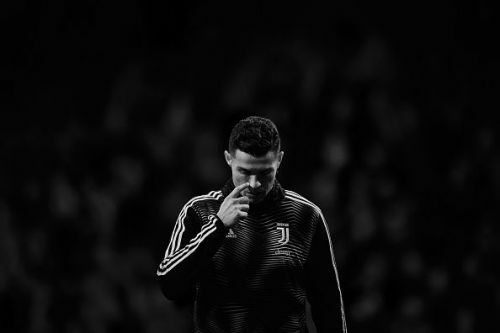 The omission of Ronaldo may come as a shock to many but the Portuguese star will be keen to continue his good performances and lead the goalscoring charts and help Juventus to another Serie A triumph.